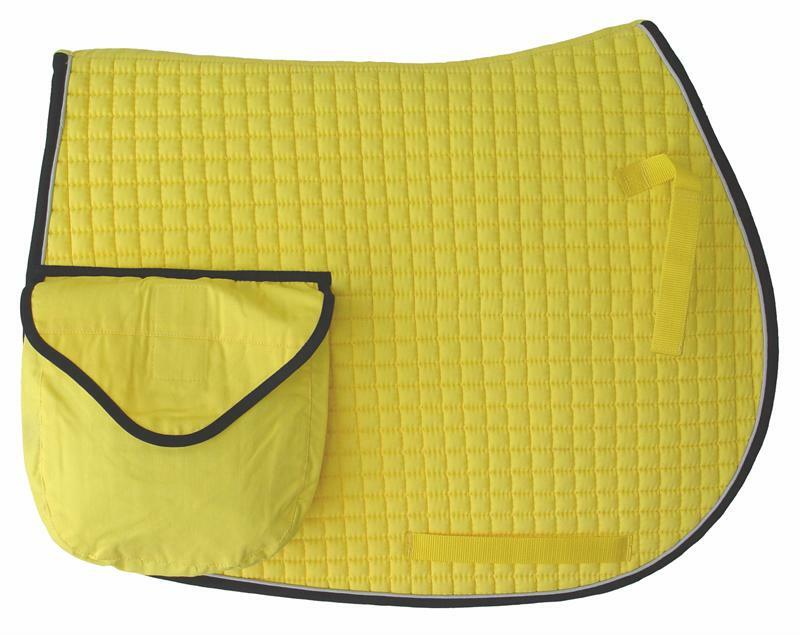 This is a special designed pad for trail riding and pleasure riding. 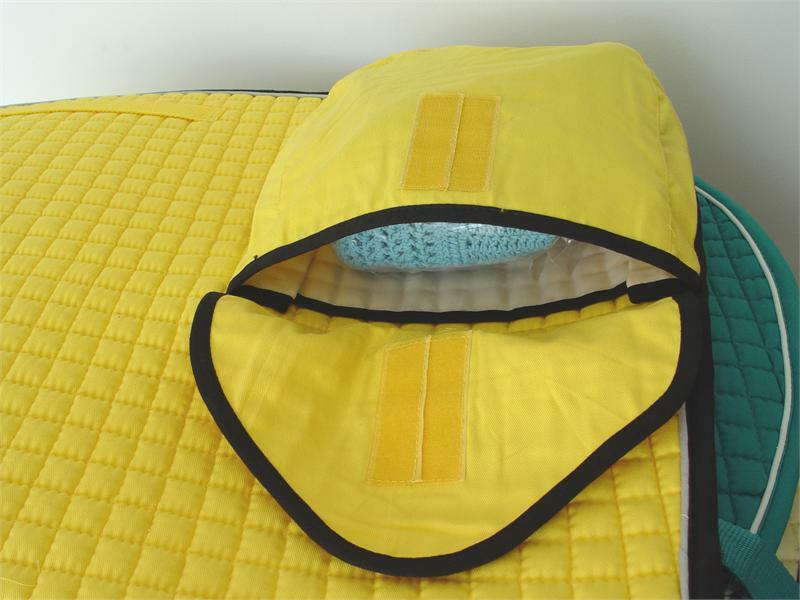 This pad has a cotton shell with high density foam filll and absorbent slip resistant flannel lining. 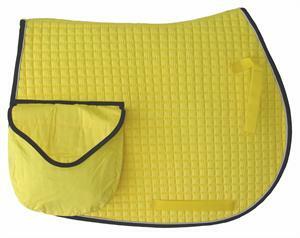 It has two double layer pockets with water resistant fabrics side hang amounted on the pad. Available in an assortment of colors and is machine washable,. Size Horizontal: 26" Vertical Depth: 20.5", Spine Length: 23"